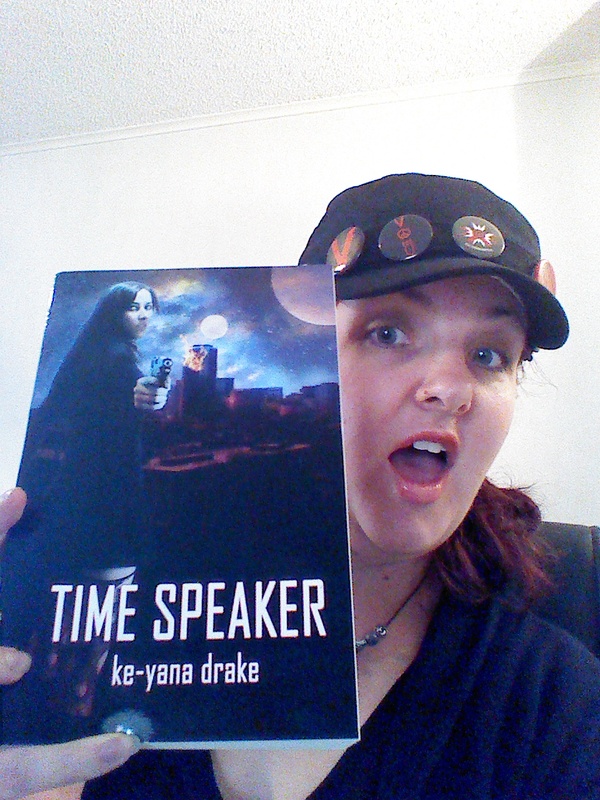 So here we go, a review of Ke-yana Drake’s ‘Time Speaker’ novel, first in the Time Speaker series. I won a copy of this through Ke-Yana and a contest she ran but that in no way at all influences anything I am about to say….got it…good, we shall ramble on. I haven’t read much at all this year – maybe 1 novel has been finished,I honestly could not get into anything, even books I love to bits and authors like Neil Gaiman, Clive Barker, James Rollins, got put down after a few pages. This happened with ‘Time Speaker’ but it had nothing at all to do with the book or the story. So night before last I decided that this business of not being able to read anything at all was going to end. So I picked up ‘Time Speaker’ and less than 24 hours later I was finished and left wanting more. I took a bit of time to warm up to some of the characters and get into the grips of this off world story and work out the different political structures and races and get to grips with the spatterings of the native tongues (which appear to be very involved and well thought out, something I think I could never achieve, trust me, I tried with Eiridis, it isn’t as easy as one might think.) but I soon found my rhythm and sunk deep into the world. I fell in love with some of the characters, I yelled at the book when a scene made me get all teary eyed, I yelled at characters for not doing what I wanted and once for doing something I knew they were going to do, that they had to do, but that I still didn’t want them to do. I started shipping characters together….nothing says I like a show/movie/book like me starting to put characters into relationships that I believe they belong in (Especially considering this is very much not about romance). Of course I am not giving ANY plot away in this review, just all my reactions. I giggled to find a character name that we use, but as a boy not a sassy little minxy sister as it is in our book. I crowed like a lost boy when I got it right just who I thought a certain character really was. And as I said, I cried and told the book off, I grinned and frowned and got attached to the characters. Now I’m not a huge Sci-Fi kind of reader, especially these last, maybe twelve years or so. But I really enjoyed this book, and I want more. There are a few things that I’m still a tilting my head about but I’m sure they will be addressed in future work, but nothing that would make me not suggest this to friends who enjoy this kind of story. So head to her website http://www.keyanadrake.com to check out more about the book, the series and all the other goodies she has on there. Connect with Ke-Yana on twitter and Facebook, because she really is most lovely. Lol, yes ma’am. I’ll get right on that!